For RTI International, being family friendly is part of fulfilling the company’s mission. “Our mission to improve the human condition extends to taking care of our employees,” says Marjorie Williamson, senior vice president of Global Total Rewards and Human Resources Operations. RTI’s culture of family friendliness starts with President and CEO Wayne Holden and the executive leadership team, Williamson says. Holden makes it a goal for his direct reports to use their paid time off each year, and leaders demonstrate daily work-life balance practices such as leaving the office at a reasonable time and encouraging the use of flexible work schedules. Consistent evaluation of policies, commitment to the company culture, and listening to employee feedback help keep RTI benefits competitive and allow the company to attract and retain top talent, Williamson says. Nichole DiPippo, a financial analyst who co-founded and co-chairs a working parents’ group at RTI, says the organization prioritizes support for working parents. “RTI leaders have been open and responsive to feedback from our group on everything from adding more mother’s rooms to training for managers on how to support employees coming back from parental leave,” she says. Based in part on employee feedback, in 2017 RTI implemented a six-week paid parental leave policy for mothers and fathers following a birth, adoption, or placement of a foster child. RTI’s paid parental leave may be used within the first 12 months of the birth, adoption, or placement of a foster child and can be taken either all at once or intermittently. Full- and part-time employees are eligible to participate. When RTI first introduced its leave policy, it allowed parents who had a birth, adoption or foster placement within the previous 12 months to use this benefit as well. In the first year of the program, over 160 parents took parental leave. Williamson says it was important to include mothers and fathers in the leave policy. “RTI emphasizes diversity and inclusion in our employment practices. To reinforce our inclusive culture, mothers and fathers need to be eligible for paid parental leave,” she says. 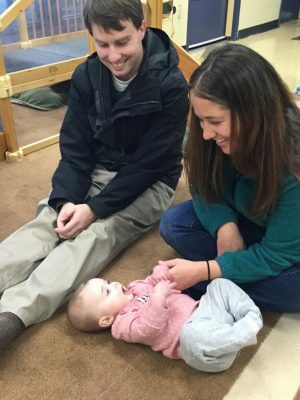 Laura Haines and Eric Poitras, chemists and first-time parents who both work at RTI, each took advantage of the parental leave policy when their six-month-old daughter, Avery, was born. “As first-time parents, there was a lot of uncertainty and concern. Is the baby going to be OK? Do we know what we’re doing? With paid parental leave, it was nice to have something to not worry about. To me, that was the most beneficial part,” Poitras says. Haines took a total of 12 weeks off, combining paid parental leave with vacation and short-term disability so the entire leave was paid. 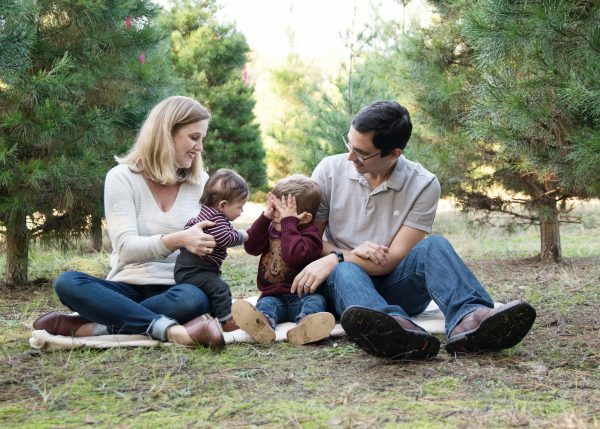 Poitras took three weeks off when Avery was born, and both Haines and Poitras saved some of their leave for later, knowing they’d need days off when their baby was sick or to take a family vacation. “Since we haven’t used up all the time off, we don’t have to worry about how to take time off to care for a sick child,” Poitras says. Poitras, who’s been with RTI 14 years, and Haines, who’s been with RTI 10 years, say they were both loyal to their organization before they welcomed Avery. But they agree their loyalty’s been reinforced thanks to their experience working at RTI as working parents. DiPippo, who’s worked at RTI for almost six years, has had two children while at RTI – one before the paid parental leave policy and one after. Having paid parental leave the second time around made a big difference. DiPippo’s manager worked with her on a personalized leave plan to ensure smooth transitions to and from leave. “On my team specifically, five of 10 of us became pregnant at the same time and were all due between June and August. Five of us had to come up with maternity leave plans. Our manager was cool, calm, and collected and supported each of us,” she says. The culture at RTI also helped DiPippo feel supported. As a breastfeeding mother who pumps at work, she says her coworkers are great at not scheduling meetings over her pumping times. She has the flexibility to be with her children when needed, including keeping a standing family rule to eat dinner together. “I work harder because RTI gives me the flexibility and the benefits of this schedule and life. I work harder because I’m grateful,” she says.